Cilantro Pesto Sauce Recipe | GrubGirl. The herb is very strong, so I had about 80% of the bunch left and didn’t know how else to use it. Gina suggested that I make a pesto sauce with it. “But wait, isn’t pesto made with basil? And I don’t have any pine nuts in the house,” I thought to myself. However, I found an easy Fabulous Cilantro Pesto recipe on Allrecipes.com. It required cilantro, and walnuts or pecans. Leftovers from countless pecan pie bakeoffs gave me the pecan supply. 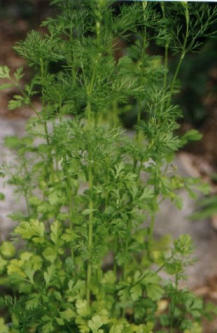 Cilantro may be stored for up to 1 week in a plastic bag in the refrigerator. Or place the bunch, stems down, in a glass of water and cover with a plastic bag, securing the bag to the glass with a rubber band. Refrigerate, changing water every 2 to 3 days.